Big questions are out there. At Sewanee, we'll work together to find the answers. Sewanee is a recognized leader in undergraduate research, scholarship, and creative work across all academic programs. 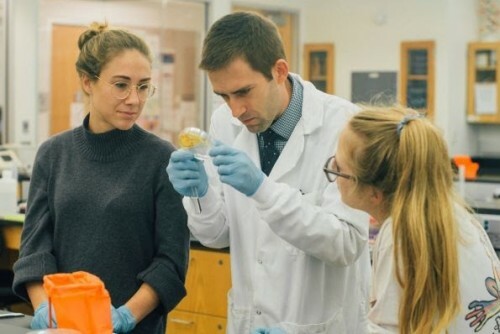 Faculty members integrate original research and scholarship into the classroom and encourage their students to join them in extensive exploration of original work during the academic year and in the summer. In the process, students enhance their knowledge, hone their skills, and improve their postgraduate prospects. What's more, as part of the Sewanee Pledge, Sewanee students are guaranteed funding for a summer research fellowship with a Sewanee professor or an approved program at another university. 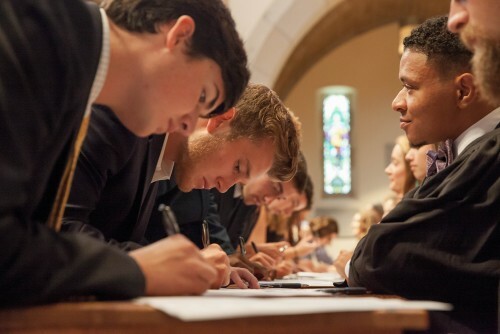 were presented at Scholarship Sewanee in 2018. 88 posters and 55 oral presentations representing biology, physics, chemistry, earth and environmental systems, psychology, politics, economics, English, history, visual arts, and more. were involved with mentored research or scholarly activities last year. were funded through the Office of Career & Leadership Development for students to work with professors at Sewanee or other approved programs last summer. A Sewanee professor’s newly published book explores the sustainability of two Atlantic whale-hunting cultures while his collaborative research with students yields significant findings and a tissue-for-internships arrangement with other universities. A Sewanee physics professor and his students study nature’s tiny building blocks with painstaking care and a healthy dose of ingenuity. 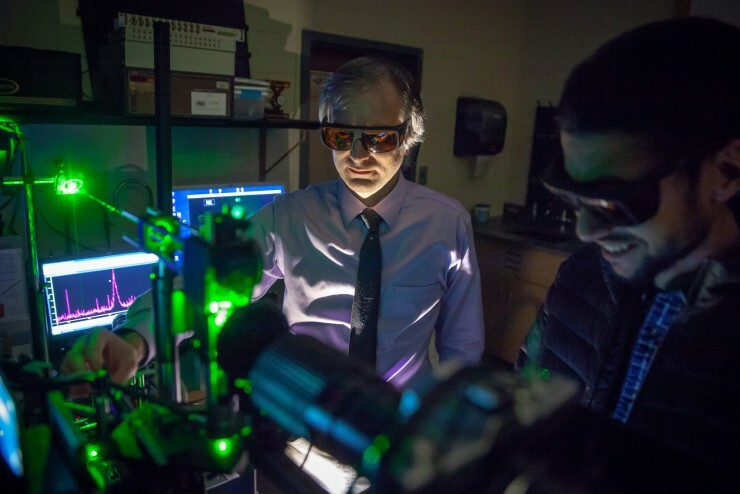 Eugenii Donev and a continuing stream of his students have put together the tools needed to make and study the properties of many substances at the nanoscale. When it rains in Sewanee, it is either taken up by organisms, evaporates, or makes its way to the Tennessee River. 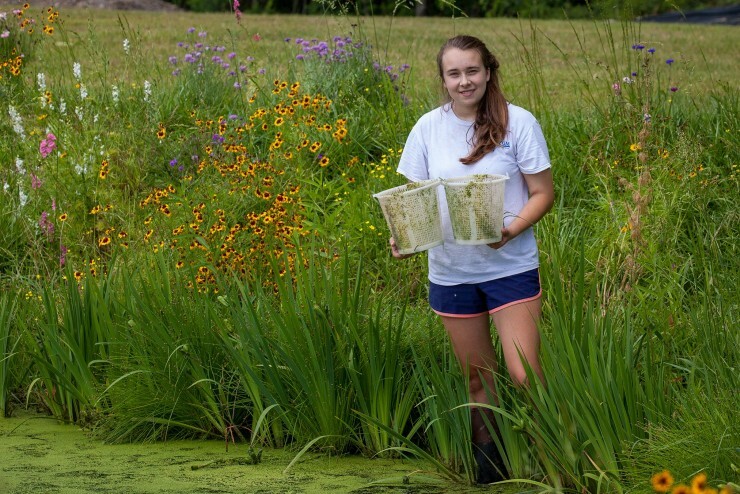 Students and professors in a variety of disciplines take advantage of Sewanee’s local ecology to engage in water and water-systems research that is as deep as it is wide. 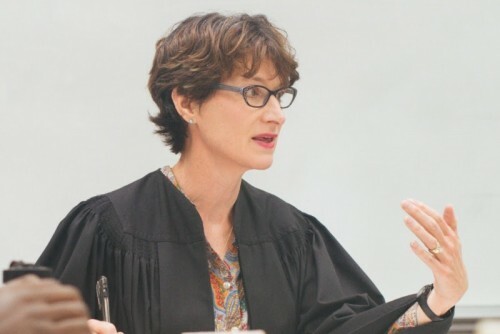 Amy Patterson, Carl Biehl Professor of International Affairs, conducts research and publishes on global health politics and Africa on themes such as AIDS, Ebola, and tobacco control. Most recently, she began research that looks at youth as citizens and how religion may affect their views of citizenship. 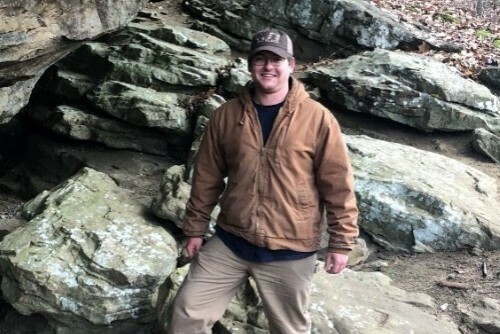 Will McDowell is studying prehistoric Native American rock art on the Domain. This is drawn with red ochre or hematite, and is representative of the largely overlooked complexities of prehistoric cultures. McDowell is collaborating with Professors Sarah Sherwood and Russell Fielding on a resource management plan for this art to protect it from threats of human activity and natural degradation. 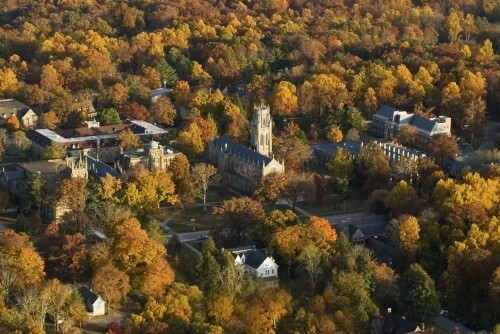 Sewanee is one of only two liberal arts colleges in the country with the capacity to utilize the CoV reverse genetics system. Professor Smith and his students are researching a variety of topics including understanding the role of host chaperone proteins during CoV replication, elucidating the importance of a newly discovered viral enzymatic activity, and examining how CoVs respond to nucleotide depletion. 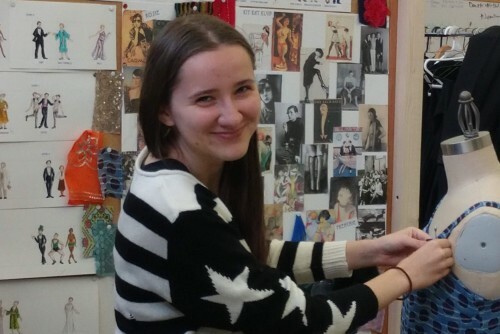 During her summer fellowship, Lydia Klaus used books, films, and other visual art to lend authenticity to the production of the musical Cabaret. With Professor Jennifer Matthews, she was able to create an accurate detailed picture of Berlin and its cabarets during the period. She first served as assistant costume designer, was soon promoted to dramaturg, and also starred in the show as Fräulein Schneider.